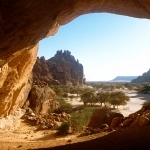 The northern part of Chad lies in the Sahara Desert where the highest mountains in the Sahara are located, the Tibesti Mountains (3,415m), which are volcanic. 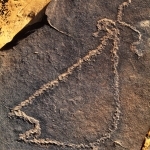 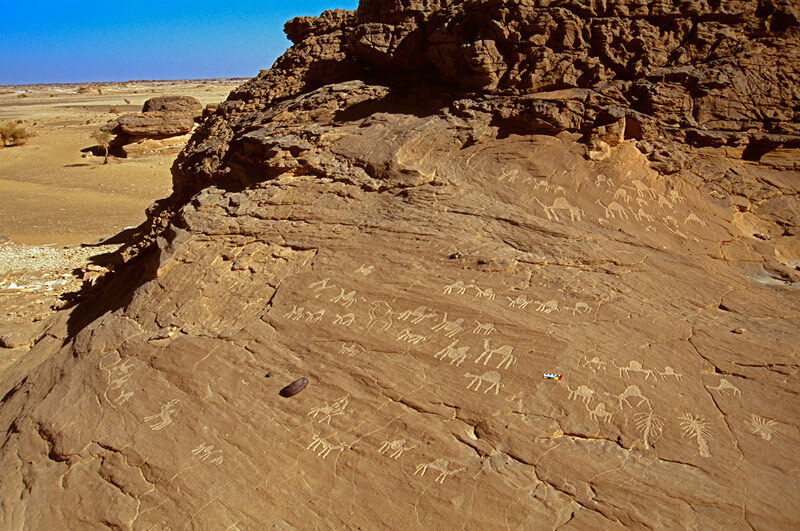 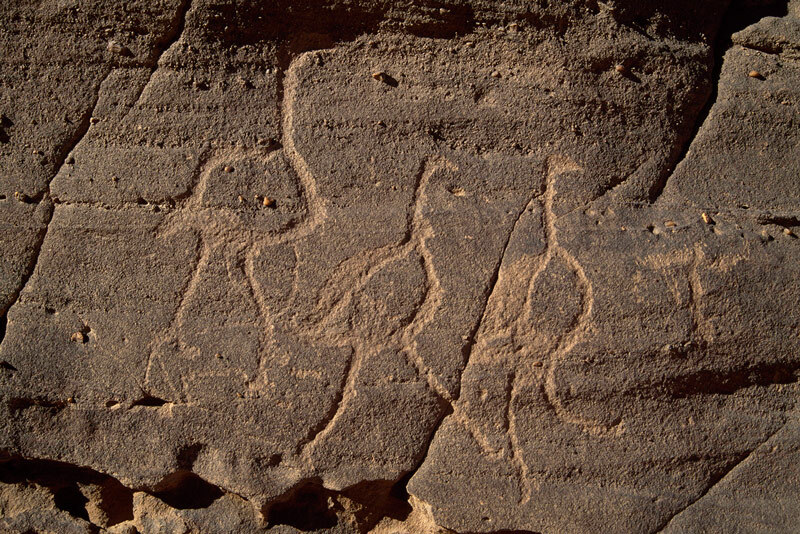 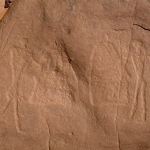 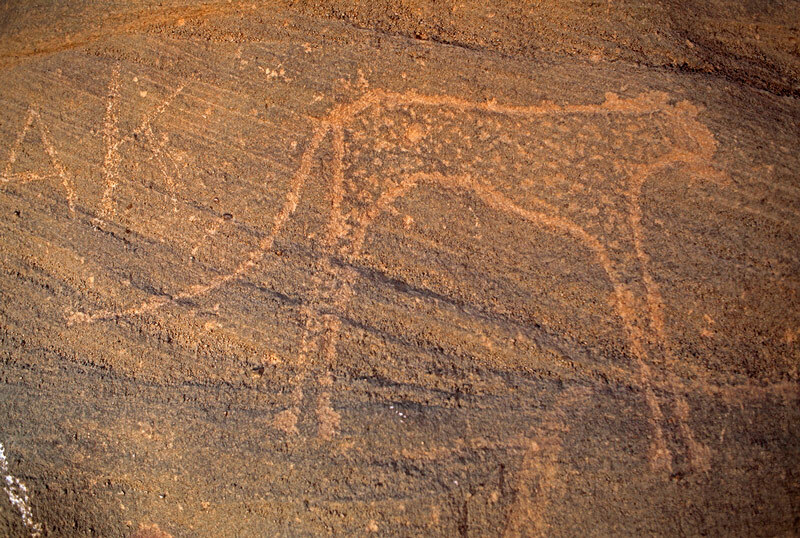 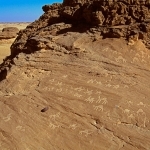 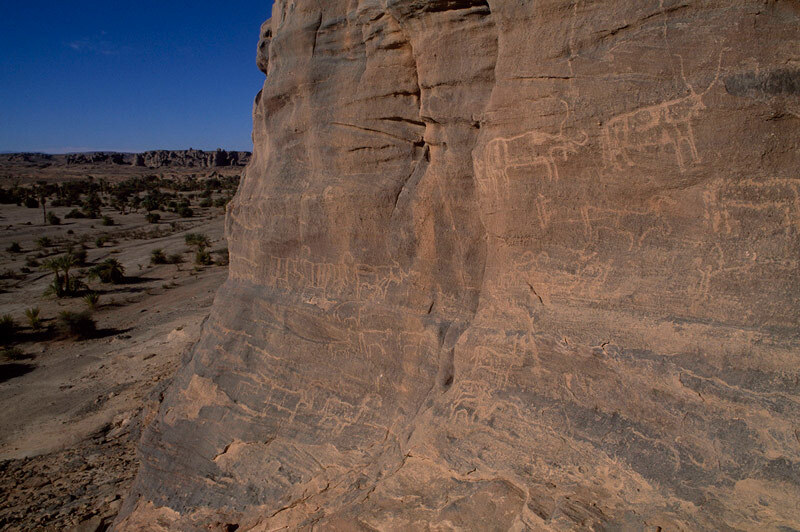 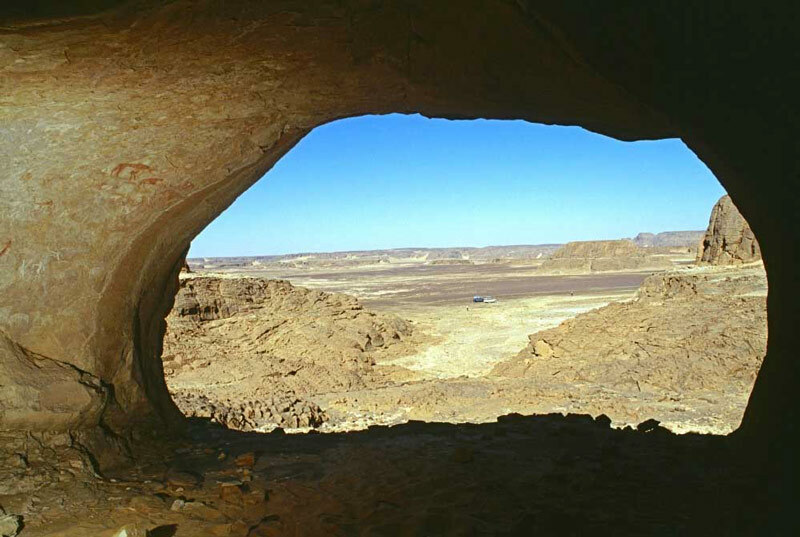 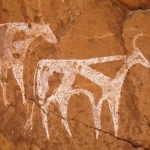 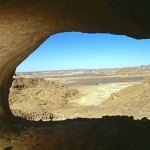 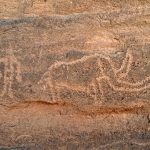 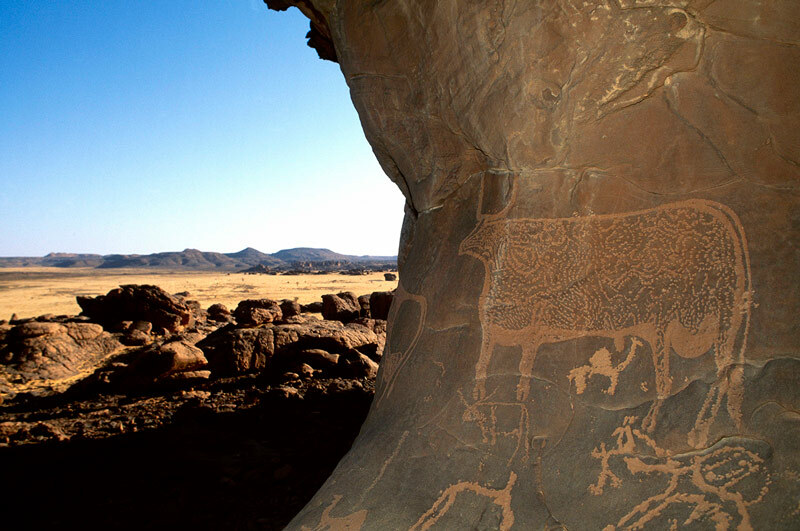 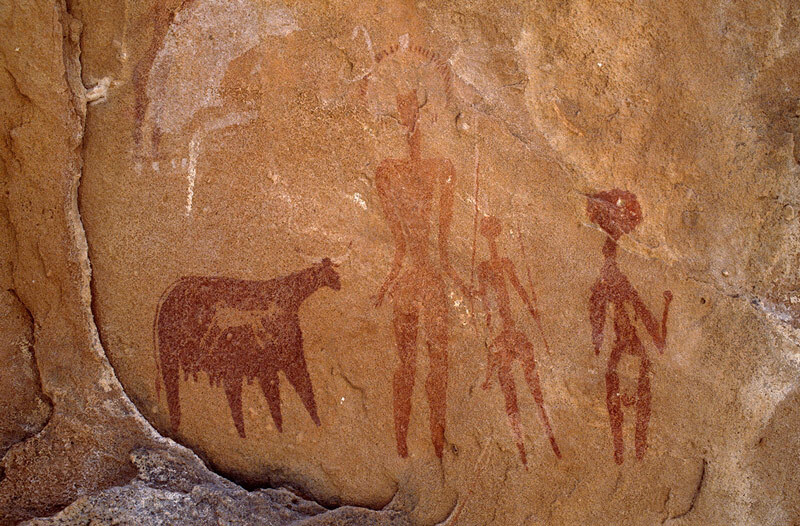 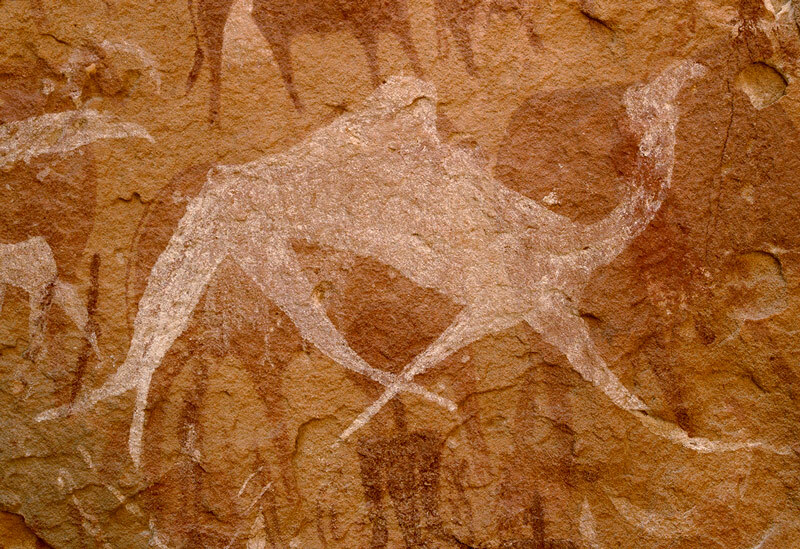 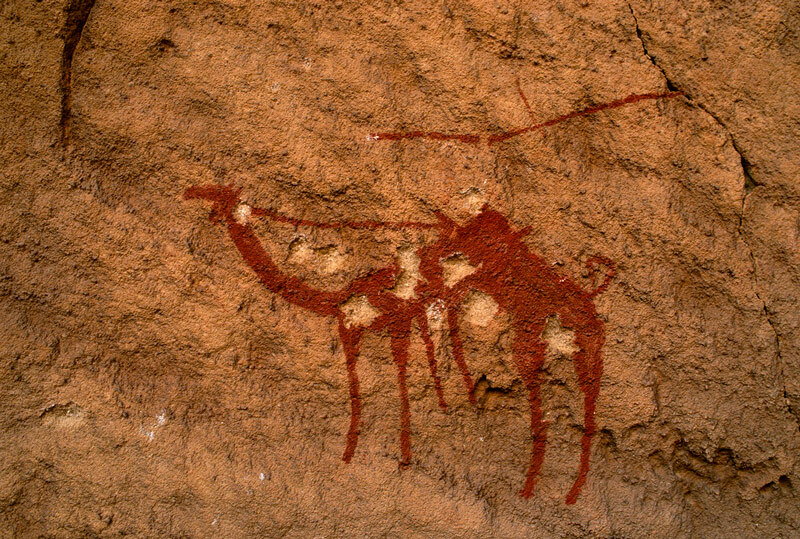 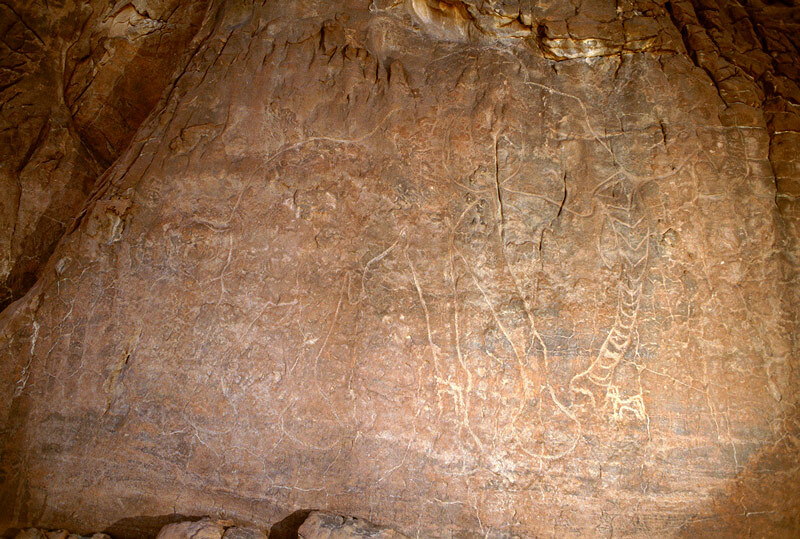 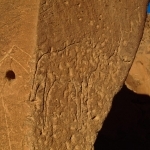 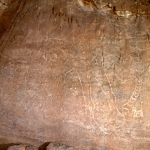 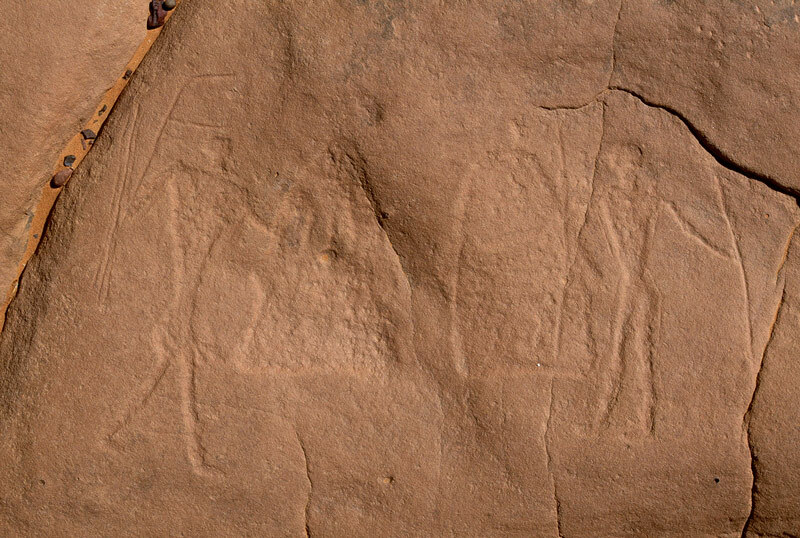 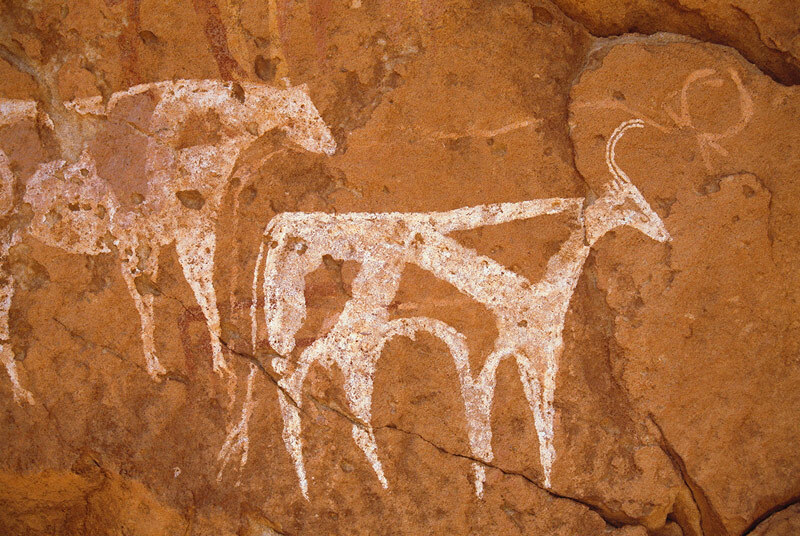 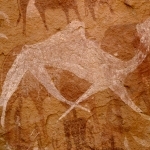 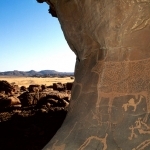 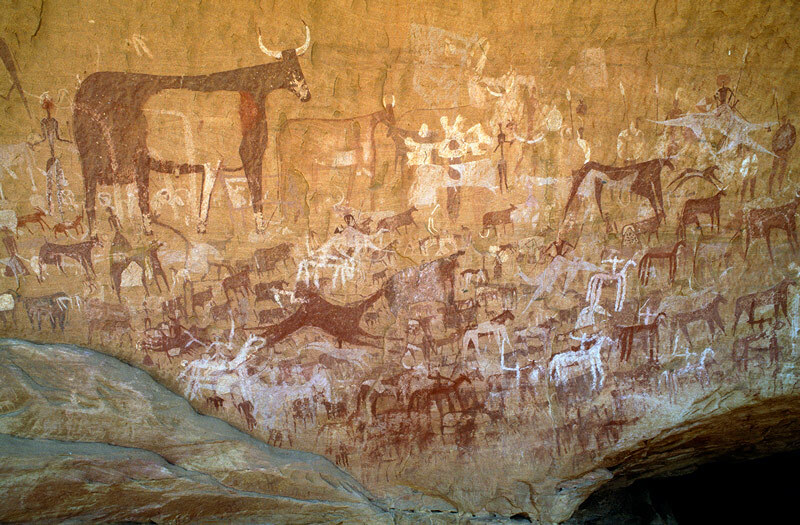 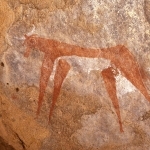 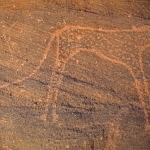 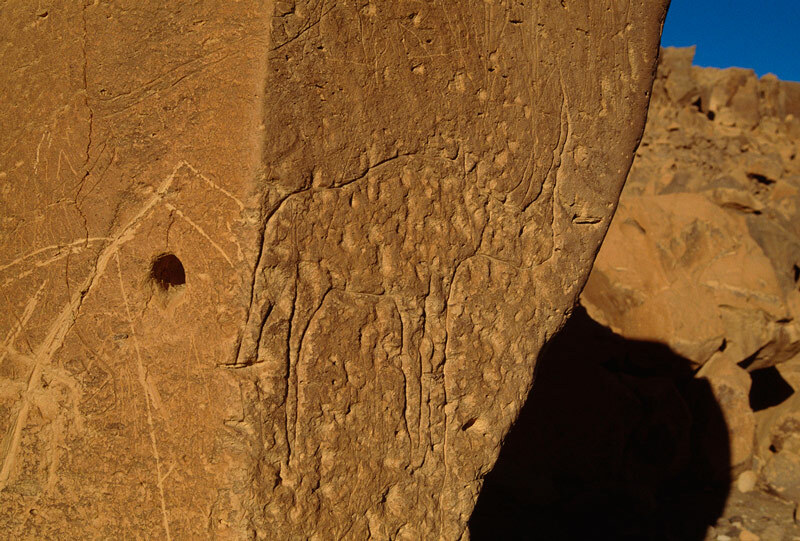 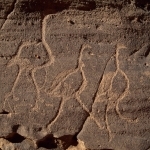 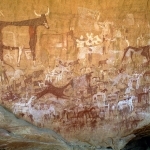 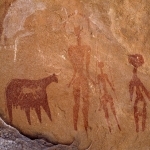 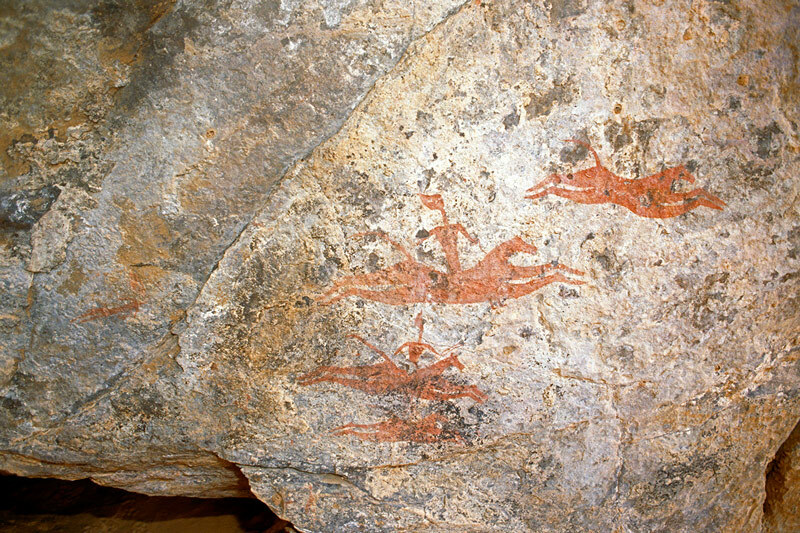 Covering a large area not far from the northern borders with Libya and Niger this region is very rich in rock art sites. 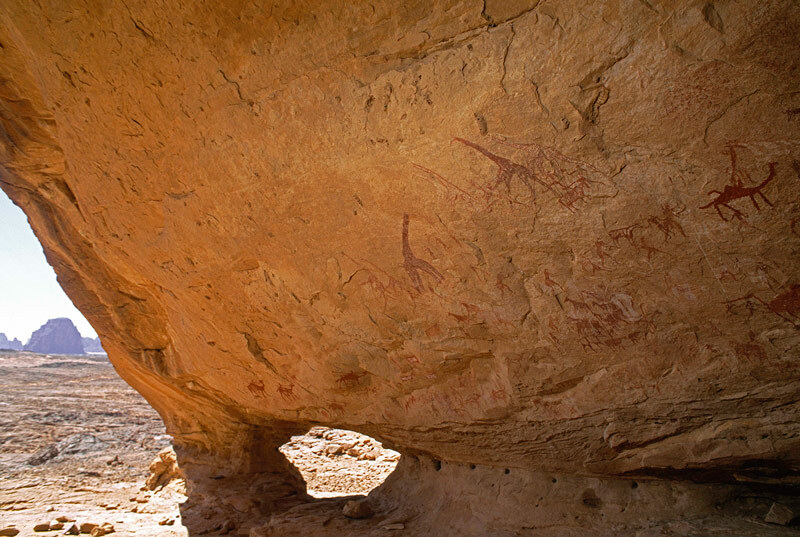 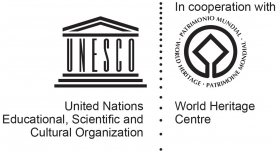 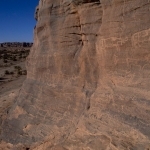 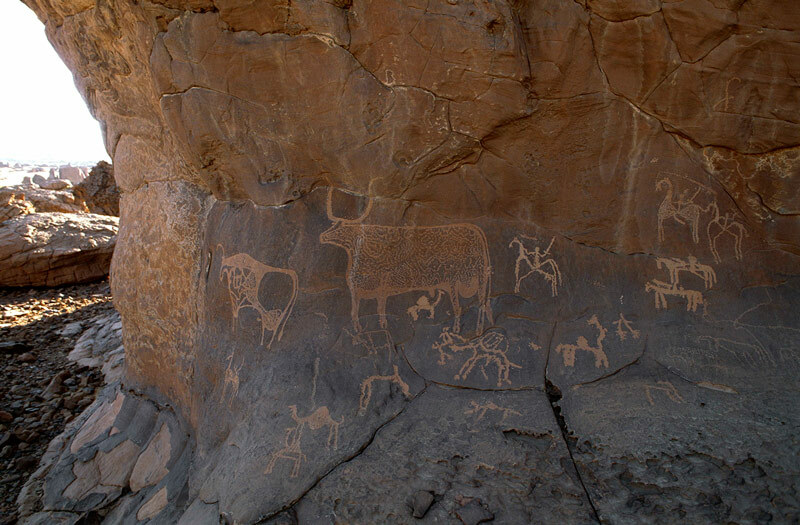 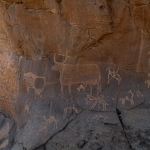 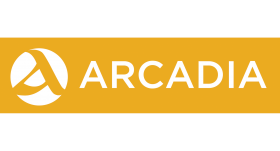 Most of the art here may date from between 9,000 years ago and 4,000 years ago while some of the large animal engravings may date back to 12,000 years or more. 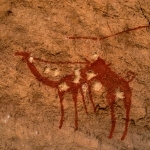 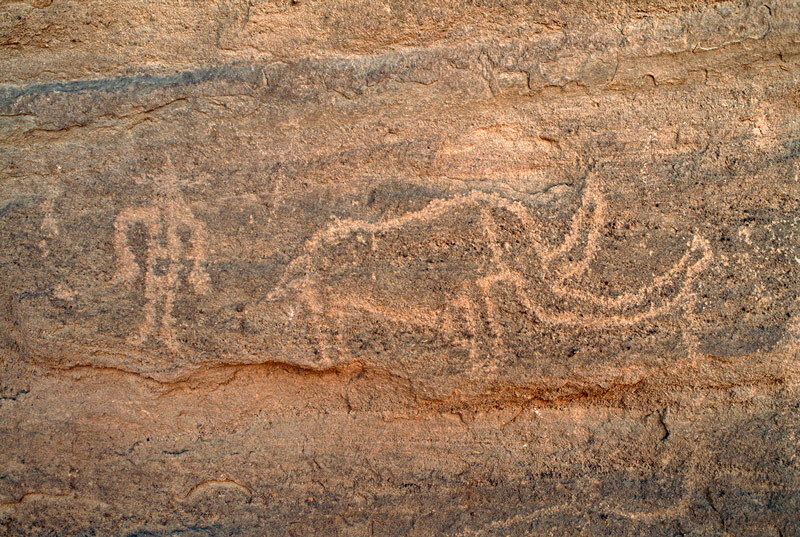 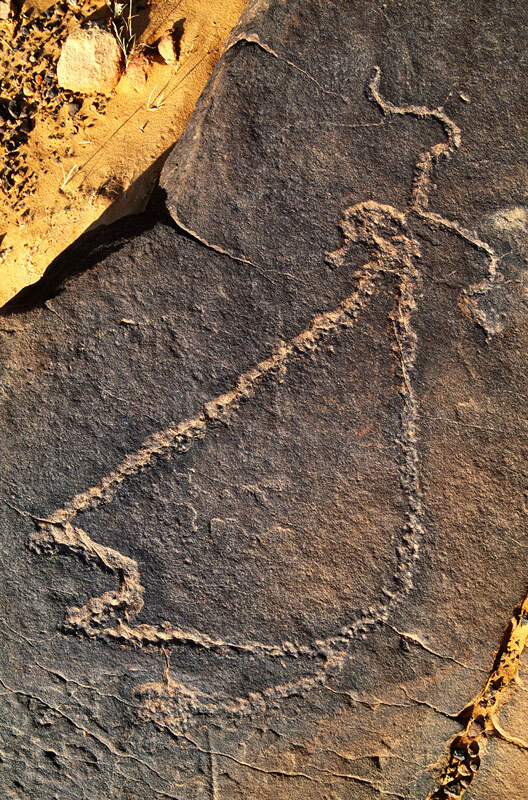 Like much of the Sahara, the Tibesti experienced dramatic climate change during this period resulting in an influx of wildlife and human populations from the Middle East. 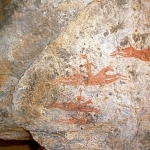 The majority of the rock art here dates from these times before the inhabitants were forced to leave their lands and move to the Nile Valley or other areas with more water. 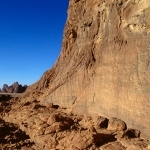 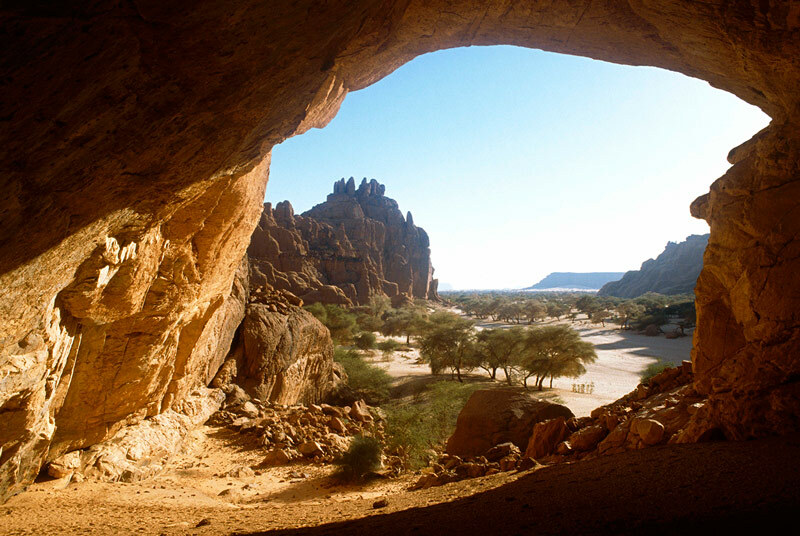 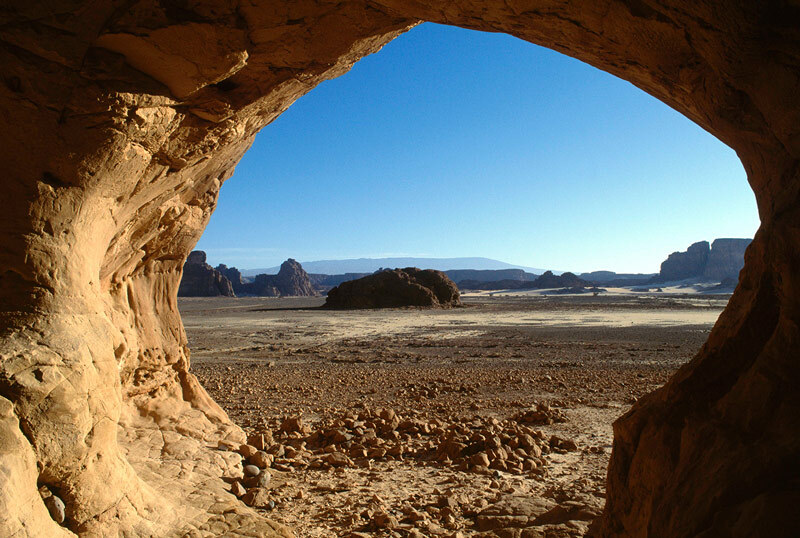 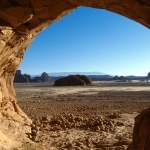 To the south east of these mountains is another mountain range known as the Ennedi. 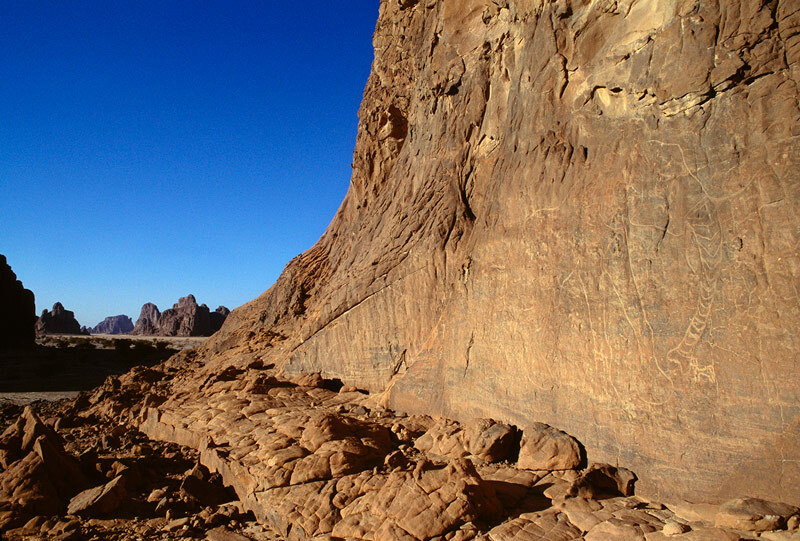 It is an ancient eroded sandstone plateau around 35,000 square kilometres in extent. 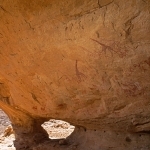 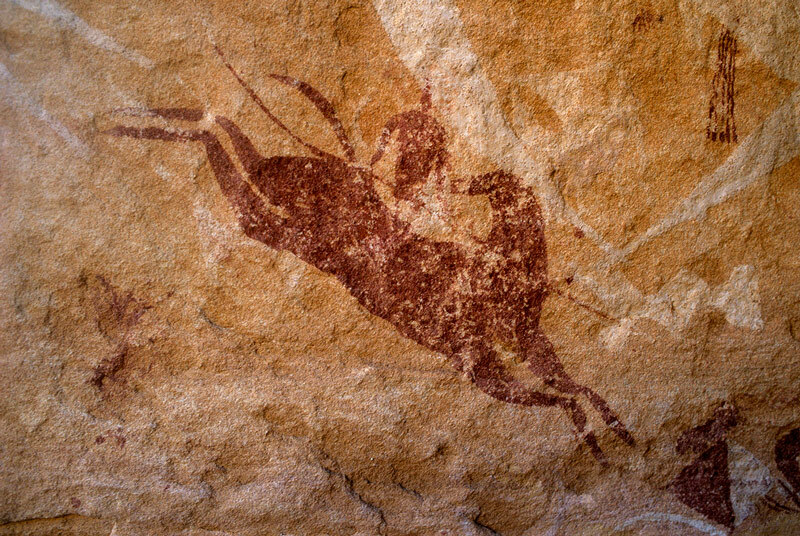 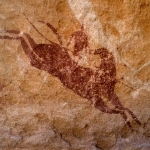 This is another rich rock art region although most of the art is more recent. 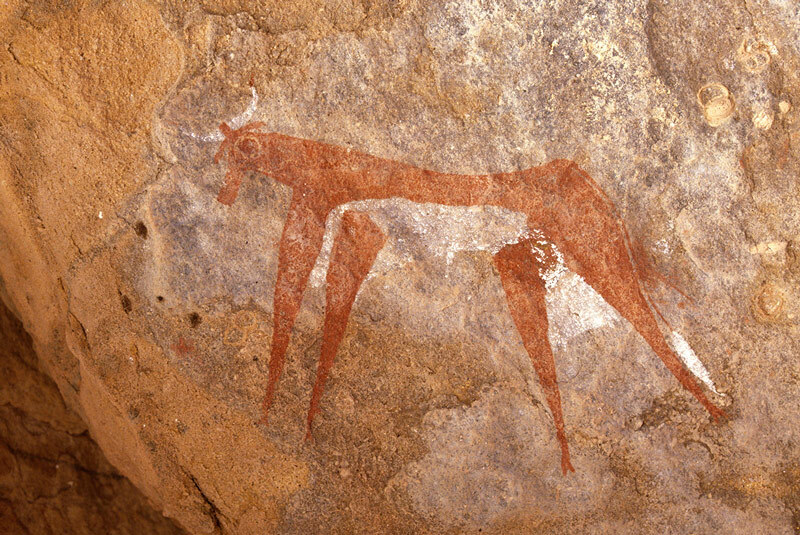 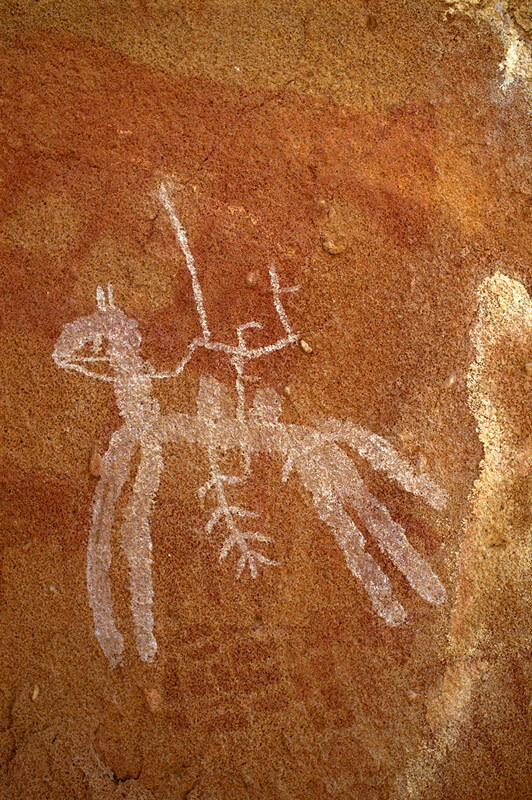 Some of the most interesting art here, for instance, is from the horse period some of it probably made during the last 2,000 years. 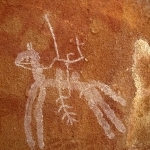 There is also a lot of art from the Pastoral period which preceded and also overlapped with the horse art.